Gayle Skidmore’s “Pale Ghosts” kicks off her album with a cinematic video that captures loss and longing through the lens of fantasy. Sounds that fully envelop a listener can really help establish a whole world. It’s the sensation people often describe when they put on their headphones as they walk and feel like they’re in a music video. 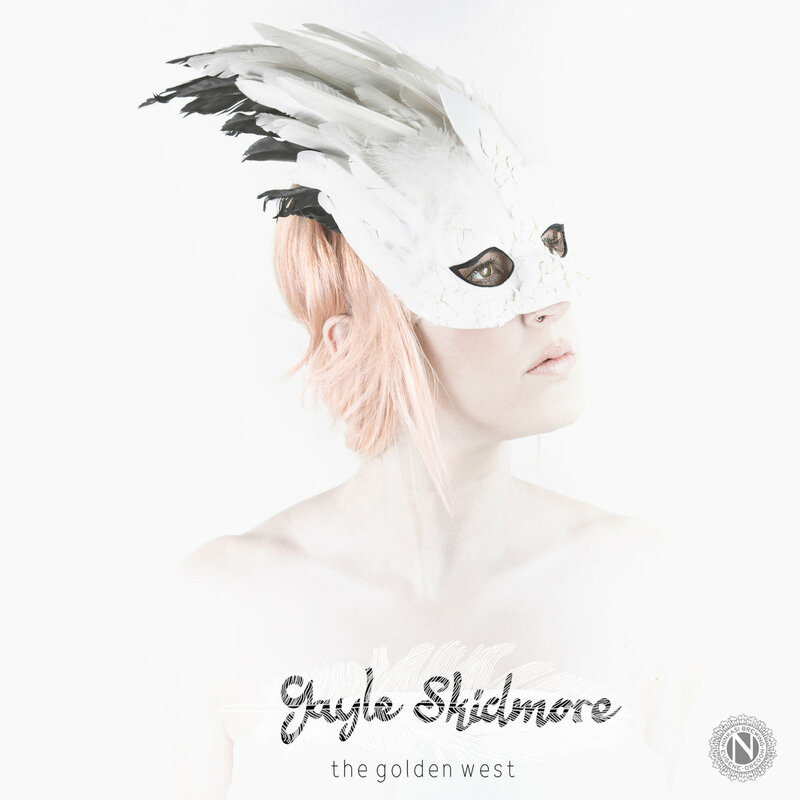 San Diego singer/songwriter Gayle Skidmore’s The Golden West debut album uses a variety of strings and operatic vocals to attain this effect. The opening track “Pale Ghosts” creates a textured soundscape that wraps around you like a blanket, and it suits the fantasy-inspired video to go with it. Atwood Magazine is proud to be premiering the new music video for Gayle Skidmore’s “Pale Ghosts.” Between the strings and arpeggiated piano, “Pale Ghosts” sounds like it could have been plucked off of a film score. The whistling and occasional guitars add to the texture of the song, where even Skidmore’s voice acts more as an instrument than the only focus of the song. It’s the type of song that suits a lonesome walk or drive home from work as the sunsets around 4PM. It’s a song that displays the difficulties in letting go. As Skidmore sings, “If I didn’t need to miss you, I could dig a deeper grave,” she holds the notes on every word as if she’s scared of releasing just the word into a void like the person that the song is addressed to, and the ghosts that she finds comfort in. The video sees Skidmore wandering through a lush forest at dusk or dawn using a candlelit lantern to guide her. She travels through marshes and wintery forests in a white dress following various lights, which seem to represent spirits, she finds along the way. The cinematography, especially the full-sweeping establishment shots of the forest, is absolutely gorgeous. Skidmore wanders through the forest like she’s about to be reunited with the one she’s lost. The video ends with Skidmore being whisked away into the lantern she’d been carrying, before we see that there’s just a microcosmic version of the world Skidmore had been searching inside her lantern. “Pale Ghosts” is an excellent kick off to The Golden West, because the album is so incredibly varied, but the track really sets up certain themes that come up over and over again-beautiful piano and strings and classically-styled, emotive vocals. Unlike a number of singer-songwriters, Skidmore focuses just as much on the sonic qualities of her songs as she does on the lyrics. The video also helps reflect this in that it looks like any number of popular fantasy films. It sets a scene before Skidmore is engulfed into the lantern, which could represent how once you explore further into the album there is so much more and “Pale Ghosts” is an excellent place to start.